An unplanned pregnancy can be a difficult situation, especially for young parents or those struggling with addiction. For these individuals who may not be ready to raise a child on their own, adoption represents an excellent opportunity to provide a good life for their children. However, not everyone is ready to create an adoption plan. Many people in this situation consider having a family member help raise and care for their child. 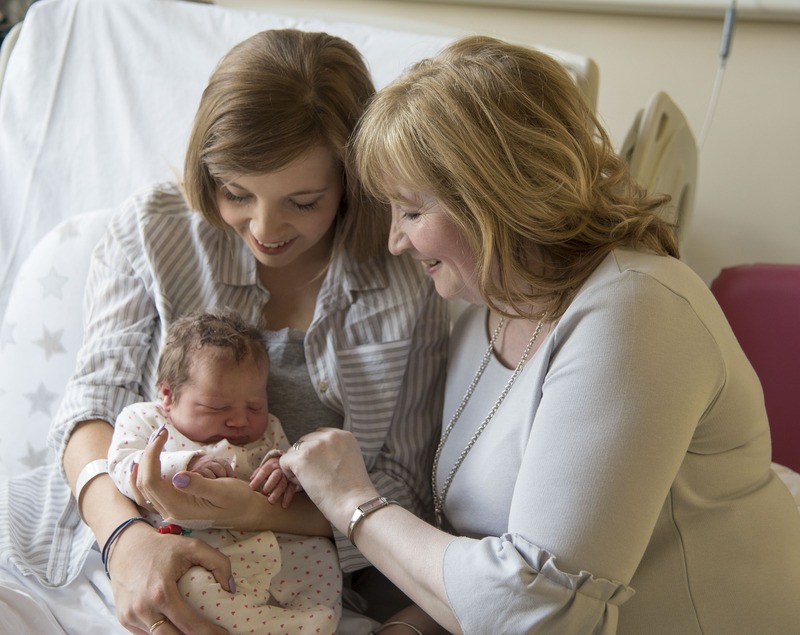 Today, more than six million children in the United States (roughly one in 12 children) live in households where grandparents or other relatives are the primary caregivers, according to the Iowa Foster & Adoptive Parents Association (IFAPA). These kinship caregivers are grandfathers, grandmothers, aunts, uncles, siblings, and even great-grandparents. This type of action does not necessarily require any legal action or involvement by the state or an adoption agency. However, if you want to permanently place a child with a family member and allow them to adopt your child, this will require an adoption agency. Either way, this is a big decision and should only be done after careful thought. “Some women feel that it’s best for the baby to keep him in the family,” says Meghan Cohen, Help with Adoption. While having a family member raise your child may seem ideal, there are still several factors to consider. “Placement with relatives or kin is often the first option considered by workers in foster care when children cannot safely remain in their parents’ home or cannot be reunited with them,” according to American Adoptions. Perhaps the biggest advantage of kinship adoptions is that “the child grows up with the family and siblings,” says Cohen. This is beneficial for a number of reasons. For starters, the child, adoptive parents, and biological parents already have a “personal relationship” and “established sense of trust,” says American Adoptions. This typically also means more contact between child and biological parents. “The child has ongoing direct contact with biological parents,” says Cohen. Emotionally, this is a tremendous benefit for both parent and child. It also means that the child and adoptive parents have easy access to “family medical and social history,” says Cohen. And, in some circumstances, this can also open up the possibility of temporary guardianship instead of permanent placement. “This legal guardianship would give your family member temporary custody of your child while you finish your degree, find a more stable living situation, or otherwise prepare to take over the parenting role,” says American Adoptions. This shift in dynamics can be a source of conflict when biological parents disagree with the parenting style or decisions of the adoptive parents. This is true in all forms of adoption, but the situation is magnified with kinship adoption. “It might also be difficult to hold your tongue when you disagree with the choices they make,” says Cohen. While managing parenting roles can be confusion for adoptive and biological parents, this dynamic can also be confusing for the child. This confusion will only grow as the family grows. “If you currently have other children or believe you may have other children in the future, you need to consider the effect your adoption decision will have on those children and their relationships with one another,” says American Adoptions. “Extended family members might not be supportive of the biological parents and the adoption,” says Cohen. “Can (and Should) a Family Member Adopt My Baby After Delivery?” American Adoptions, www.americanadoptions.com/pregnant/can_a_family_member_adopt_my_baby. Cohen, Meghan. “Adoption Help: Giving a Baby up for Adoption to a Family Member.” Help With Adoption, 20 Mar. 2018, helpwithadoption.com/adoption-help-giving-baby-adoption-family-member/. “Kinship/Relative Adoption.” Child Welfare Information Gateway, www.childwelfare.gov/topics/permanency/relatives/adoption/. Iowa Foster & Adoptive Parents Association. Raising Relatives’ Children. Raising Relatives’ Children. This entry was posted on Friday, May 11th, 2018	at 8:31 am	. You can follow any responses to this entry through the RSS 2.0	feed. Both comments and pings are currently closed.